Catholic high school graduates are eligible for a special $5,000 scholarship guarantee. Contact the Office of Undergraduate Admissions to learn more. COMMUNITY SERVICE: All first-year students will volunteer during our fall day of service. There is a second campus-wide day of service opportunity in the spring, as well as numerous opportunities to give back to the community throughout the year. Altogether, Avila students will participate in more than 140,000 service and service learning hours a year. Scholarships: 98% of traditional undergraduate students at Avila University receive scholarships, including graduates of Catholic high schools, who are eligible for a special $5,000 scholarship guarantee. Contact the Office of Undergraduate Admissions to learn more. If you didn’t have options, the decision of where you should go to college wouldn’t be so daunting. But you do. And it is. Avila University is a smart choice if you find yourself chasing after thenext big thing. For you, that may be grad school. Maybe it’s a great job. Maybe you don’t exactly know what “it” is, but you know you want a truly purposeful life. The faculty, staff, and resources available to you at Avila University are here to help you discover and prepare for success in your next big thing. 4-Year Graduation Guarantee: You expect to graduate in four years, and we do too. Together with your academic advisor, you’ll map out your plan and commitments. The courses, resources, and experiences you need—along with a curriculum that exposes you to global studies, interdisciplinary studies, and civic engagement—will be ready when you need them to stay on track to graduate on time. Guaranteed research or internship experience: Grad schools and employers are looking for more than just stellar grades. They want candidates with real-world experience. That’s what Avila University graduates bring to their interviews. Every traditional undergraduate student will have the opportunity to gain internship or research experience—guaranteed. Travel award:You want to study abroad. We want you to study abroad. We value engagement outside the classroom through travel or faculty-led conferences so much, we’ll help you pay for the experience. Beginning your junior year at Avila, you’ll be eligible for an up to $1,000 travel award. Books and campus fees included:The Avila Promise is a more transparent way to present college tuition, scholarships, fees, and total costs. No more high sticker prices and hidden discounts. Don’t worry about added fees or book costs. 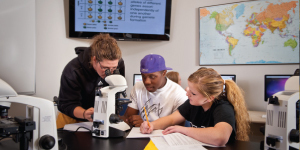 At Avila, your books and standard campus fees are included with your tuition. We’ll also protect your costs from unexpected increases in tuition and fees. 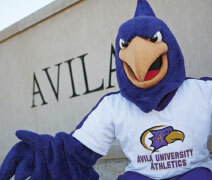 Once you enroll, you’ll know what your expected costs will be for each of your four years at Avila. Your next big thing starts here. Learn more at avila.edu.